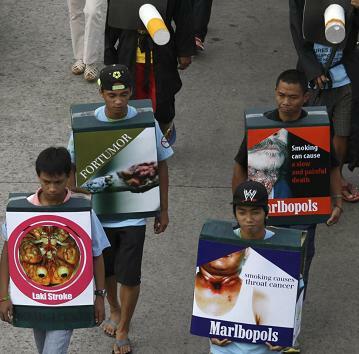 In one of the most significant steps forward in raising public health consciousness about the hazards of tobacco products, Akbayan Rep. Barry Gutierrez today lauded the signing of the proposed legislation requiring cigarette manufacturers and importers to print picture-based images of the ill-effects and hazards of tobacco use in the packages of their products. Officially known as Republic Act No. 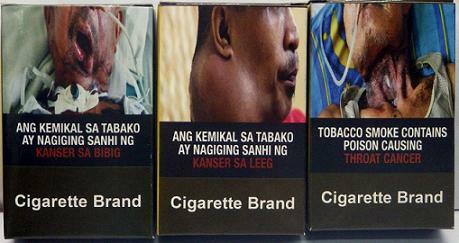 10643, the Graphic Health Warning Law was signed into law by President Benigno Aquino III last Friday, July 18. 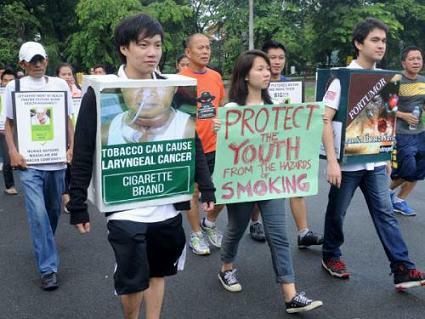 "Nearly a decade in the making, we strongly welcome the signing of this law, which we hope will help increase awareness and instill health consciousness among the public about the dangers of smoking and, thereby, contribute in reducing the number of Filipino smokers," Gutierrez said. "This is a bold move for both the Senate and the House that brings us in step with the rest of the countries, in both the region and the rest of the world, which have already adopted similar measures as integral components of their public health policy targeted to reduce the incidence of tobacco use and cigarette smoking within their population. It also allows us to comply with our international obligations under the World Health Organization (WHO) Framework Convention on Tobacco Control (FCTC)," he added. Philippines signed the Convention in 2005. As member-party, the state is bound to pass laws and measures aimed to protect public health from the dangers of tobacco use. Under RA 101643, graphic health warnings (GHWs) shall now cover 50% of the principal display areas (50% front, 50% back) of cigarette packages, and shall be located at the lower portions of the panels. The graphic images will have accompanying textual warnings, which shall use up no more than 20% of the GHW area. There will be a total of twelve (12) templates of GHWs which shall be printed simultaneously and rotated periodically for 24 months. The design and content for each template will be created and approved by the Department of Health (DoH). Finally, the Implementing Rules and Regulations (IRR) will be made by government agencies who are members of the Inter-Agency Committee on Tobacco (IACT) led by DoH and the Department of Trade and Industry (DTI), and in consultation with stakeholders. "The passage of the bill is a historic victory that reflects our strong commitment to promote health and health-related reforms. We hope that through this measure, we can motivate smokers to quit and prevent young people from taking up smoking," Gutierrez concluded.